Afghan Legacy chronicles the involvement of the Canadian Armed Forces (CAF) in Afghanistan from 2001-2014 and provides a broader context for the mission that was predicated by terrorist attacks on September 11 in New York City. More than 40,000 CAF members served in the Afghanistan theatre of operations; 162 members died in the cause, while others sustained devastating physical and psychological injuries. Artefacts from collections of both The Military Museums and The Directorate of History and Heritage will be featured in this bilingual exhibit, alongside items on loan from private lenders that illustrate the vivid oral histories told by the service men and women who were there. Afghan Legacy will also lay the groundwork for a permanent exhibition about the conflict, to be part of a major expansion project at The Military Museums. The 10,000 square foot facility is anticipated to be complete by 2023. It will become the permanent home to items that returned to Canada at the close of the mission, a collection that includes a wide variety of artefacts: everything from a Tim Horton’s coffee cup, photographs and soldiers’ personal effects, to a Light Armoured Vehicle dubbed “the Green Monster” by enemy Taliban forces. The Military Museums (TMM) is a Canadian Forces tri-service history, heritage, art, research, and educational institution. It is dedicated to preserving the memories and traditions of the countless Canadians who proudly served their country through numerous wars and conflicts by their selfless dedication, commitment and courage. 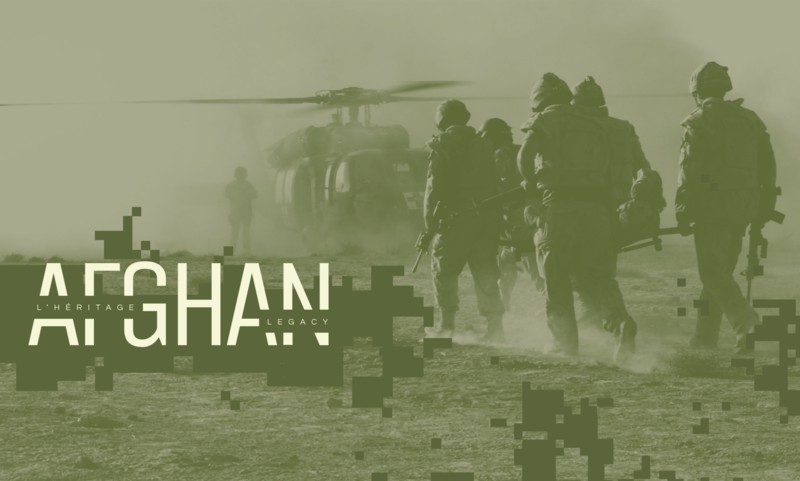 Afghan Legacy is an exhibition created in partnership between The Military Museums in Calgary, Alberta and the Directorate of History and Heritage (DHH).